Pope Francis wants psychological testing to prevent problem priests. But will that work? 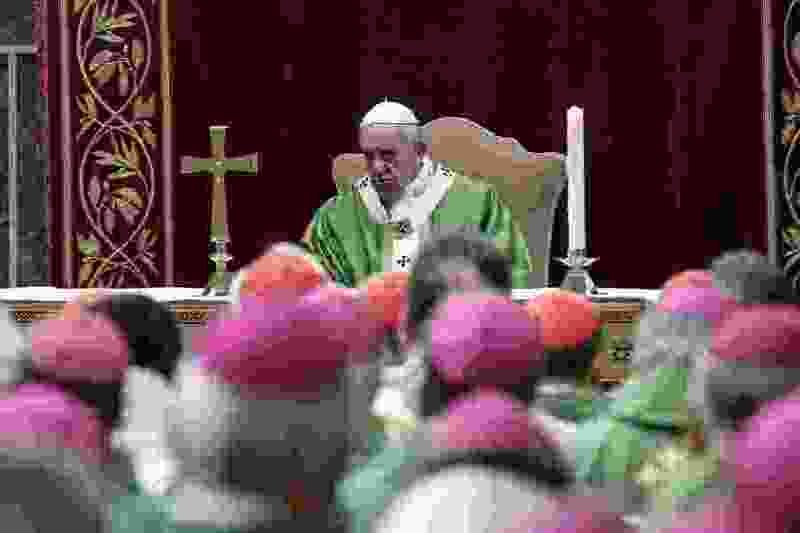 (Giuseppe Lami/Pool Photo via AP) Pope Francis celebrates Mass at the Vatican, Sunday, Feb. 24, 2019. Outside the church, some scientists argue the quest to identify future problem priests through psychology is a fool’s errand — especially when it comes to preventing pedophiles from entering the priesthood. Yet despite the lengthy history, church-affiliated psychologists are still trying to determine best practices in identifying those at risk of becoming problem priests. Numerous questions ask about the subject of greatest concern: an applicant’s sexual interest in children. Several men have openly admitted their attraction to minors, Rossetti said, leading to a swift rejection of their seminary applications. St. Luke Institute in Silver Spring, Md., and its affiliated St. Luke Center in Louisville, do about 100 candidate assessments a year, leaders said — so many that these assessments are almost the sole purpose of the Kentucky facility, keeping the staff busy year-round. Men hoping to become priests sometimes fly to Louisville from all parts of the country, director Emily Cash said. Psychologist Taryn Millar at the Silver Spring facility described the process at St. Luke as “incredibly robust” — a two-day series of interviews conducted by a three-person team: a clinical psychologist, a second mental health practitioner and a member of the clergy. Officials at both facilities and others that conduct candidate assessments all declined to allow The Washington Post to observe any part of the process, even without using names. They cited privacy concerns and the importance of not swaying the outcome of the tests.